Since 2014, a southwestern Ontario technical call centre has optimized project cash flows by leveraging Canadian government grants. The company has taken advantage of multiple growth opportunities by targeting funding programs that support workforce development. To do this, this client has integrated their strategic planning approach with funding opportunities to reduce project costs and improve their scopes and timelines. This Southern Ontario business has seen considerable success with training grants for workforce development through the Canada-Ontario Job Grant. The program has awarded the company funding on three separate occasions; these investments supported management and leadership courses for executive employees, as well as theoretical training for new hires. Since 2015, this company has been committed to the execution of its Proactive Funding Plan™ and has leveraged over $330k in small business grants. Their plan focuses on pairing the company’s upcoming strategic priorities with applicable government grants. This allows the organization to plan projects more efficiently and secure additional funding to offset project expenses. This accounts receivable management company specializes in customer communication solutions and has demonstrated continuous growth by successfully expanding its operations worldwide. The organization is comprised of over 2,000 individuals operating out of offices in Canada, the United States, the United Kingdom, as well as the Philippines. In 2014, Mentor Works partnered with the southwestern Ontario firm to build a Proactive Funding Plan™ which allows the business to lock in on their upcoming funding opportunities. This strategic approach has helped the company identify opportunities for growth, as well as resources to optimize these opportunities. The client’s funding plan has allowed the company to capitalize on various funding opportunities that lead to improved productivity and enhanced competitiveness. Since building a Proactive Funding Plan™, the technical call centre has successfully obtained $333,534 in small business training grants through the Canada-Ontario Job Grant. Government funding has allowed the company expand and enhance its workforce by offsetting third-party training expenses. The company has invested in training that focuses on developing management and leadership skills by concentrating on effective communication, team building, and hiring and on-boarding strategies. The Canada-Ontario Job Grant is one of the most popular government funding programs amongst Canadian employers. The program administers small business grants to help employers invest in third-party training programs that seek to upskill new and existing employees. COJG is a provincial variant of the Canada Job Grant program, which seeks to address specific training needs of employees to further their development and employability. The Canada-Ontario Job Grant may provide eligible applicants with up to 66% coverage to offset third-party training costs to a maximum contribution of $10,000 per trainee. To have the greatest chances of success with Canadian government grants and loans, small business executives should develop a strategic approach to accessing funding programs. Taking a proactive approach allows businesses to identify their upcoming funding opportunities and avoids rushed application processes, allowing businesses to have a streamlined, optimized funding application experience. 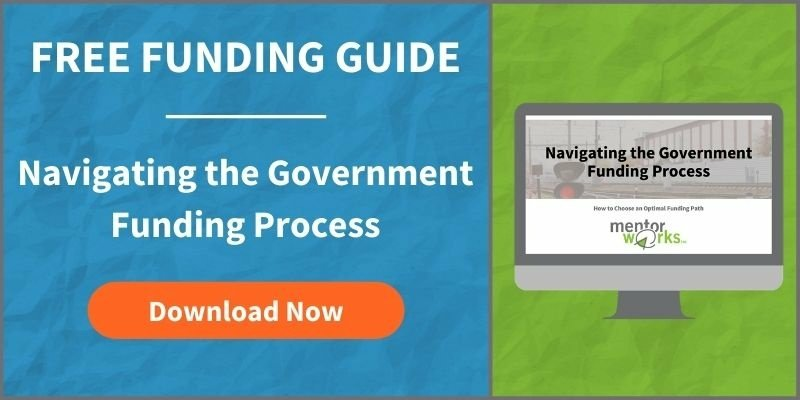 Businesses interested in building their own Proactive Funding Plan™ for 2017 can get started by downloading Mentor Works’ How to Build a Proactive Funding Plan™ slide deck.